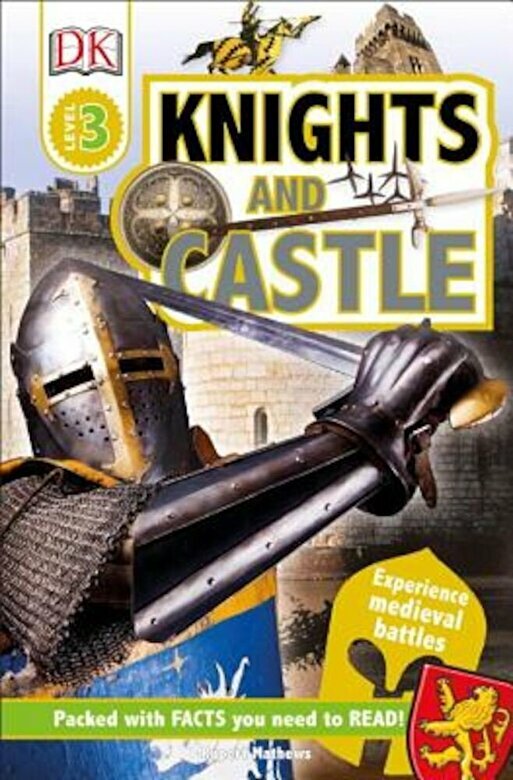 From armor to jousting, "Knights and Castles" covers everything there is to know about knights and medieval castles. "Knights and Castles" takes an up-close look at the history of knights, their chivalrous code, the battles they fought, and more. Learn about the heroic actions of famous knights, including El Cid and Sir John Hawkwood, and the monks who took up arms to protect pilgrims. Explore famous castles, including Beaufort, Krak des Chevaliers, and Carisbrooke Castle. Discover what it took to become a knight in "Knights and Castles." Perfect for 7-9 year olds starting to read alone, Level 3 titles include in-depth information presented through more complex sentence structure with increasing amount of text to expand the reader's general knowledge and confidence in reading. Additional information spreads are full of extra facts, developing the topics through a range of nonfiction presentation styles, such as fliers, instructions, and record-breaker statistics.